Great range of diesel and petrol engines. High-tech yet intuitive nav and media system. Slick ride and handling. There are more practical family hatchbacks. Mean standard equipment levels. No hybrid or electric models. Most advanced safety systems are optional. 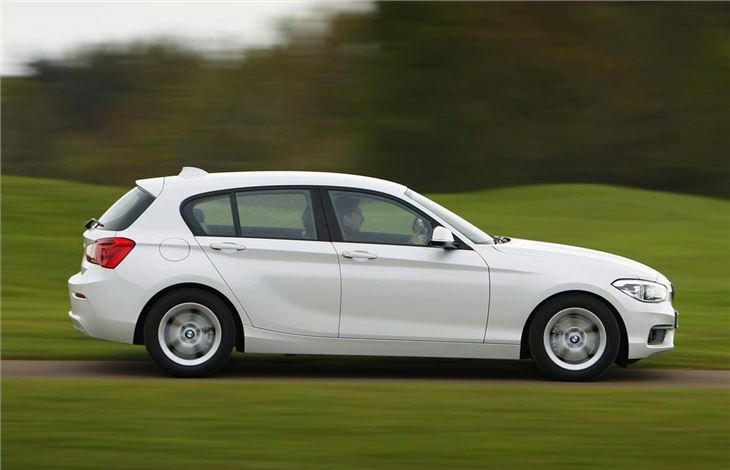 Report that Pirelli Cinturato Run Flat P7s on a BMW 118i are very quiet. "The road noise varies depending on the surface but people often comment on how quiet the car is." 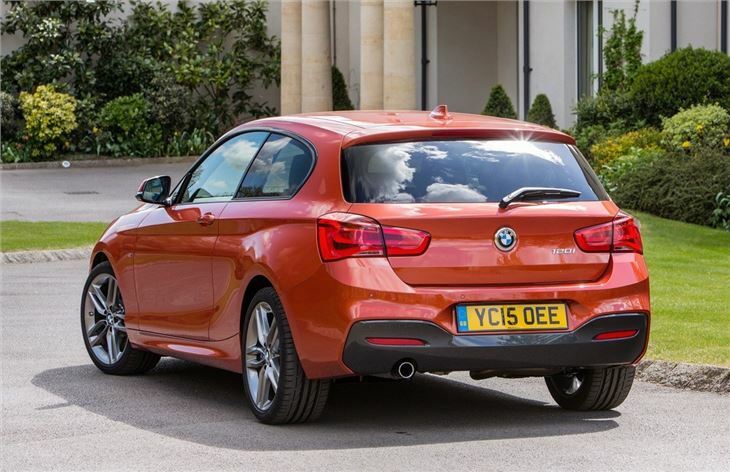 The BMW 1 Series is about as ubiquitous a hatchback as the Ford Focus or Volkswagen Golf, these days, yet it still offers a sheen of plushness and desirability that only alternative posh hatches – notably the Audi A3 and Mercedes-Benz A-Class – can match. Which is all the more remarkable given that this rear-wheel drive hatch is something of a geriatric; it’s been around since 2011. In practice, however, the 1 Series looks and feels anything but old. In fact, it really lives up to BMW’s reputation for being fun to drive, while also feeling very modern provided you’ve added the necessary options. And here is an apex problem with the BMW. 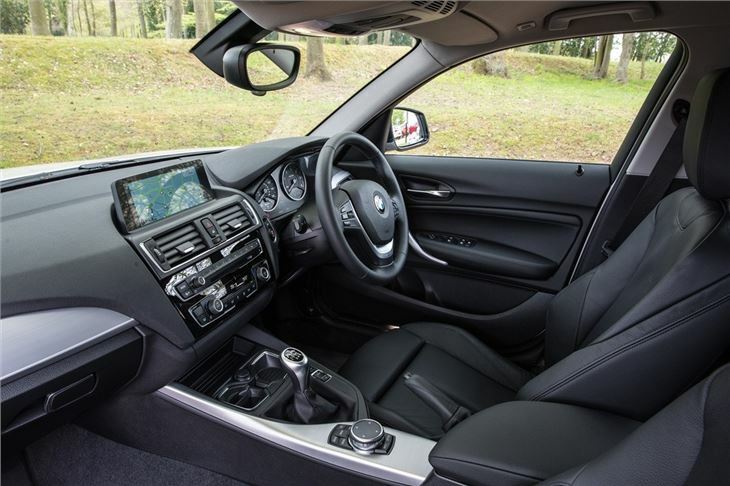 Even if you go for one of the more expensive trim levels, such as the ever-popular M Sport, there’s a multitude of extras that you’ll still want to add including fairly everyday stuff like Apple CarPlay phone connectivity and dual-zone climate control. These should really be standard on a car of this price; they certainly are on most rivals. Another disappointment is that there’s no electric, hybrid or plug-in hybrid powertrain option in the 1 Series range; you’ll have to look to the brilliant if rather more divisive BMW i3 if you want an electric hatchback from BMW’s stable. 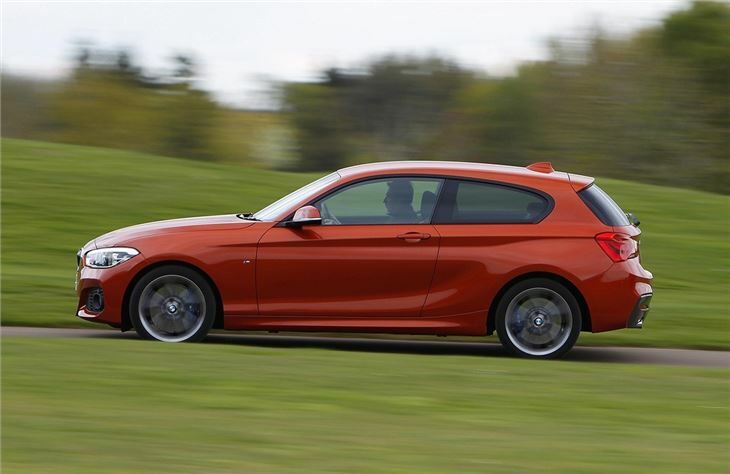 The final blow to the 1 Series is its practicality levels, which will be just fine for most hatchback buyers but a Civic, or even an Audi A3 or Golf, offer more space and better visibility. 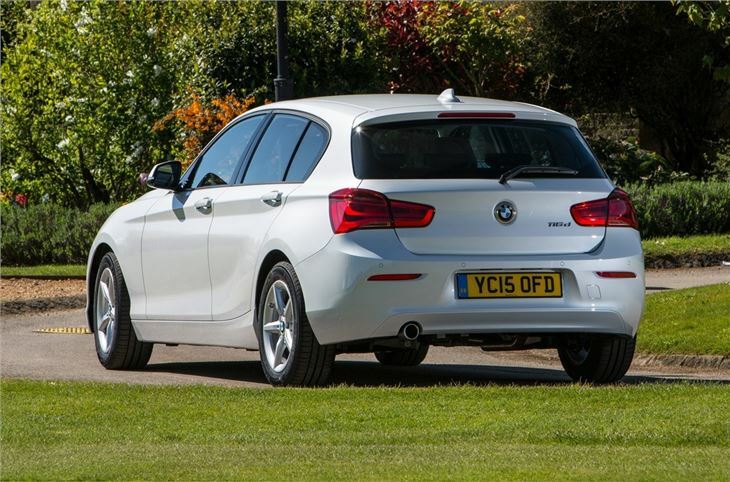 For all that, it’s not hard to see why the 1 Series is such a staple in the family hatch class. As long as you’re not fussed about having an electric powertrain, there’s an engine for every lifestyle. The 120d is hard to fault for high mileage drivers, or the fizzy 118i is fun yet affordable if petrol power is preferable. There are, of course, faster or more efficient engines to choose from, as well as one of the best automatic gearboxes available, and even four-wheel drive for the 120d if that takes your fancy. 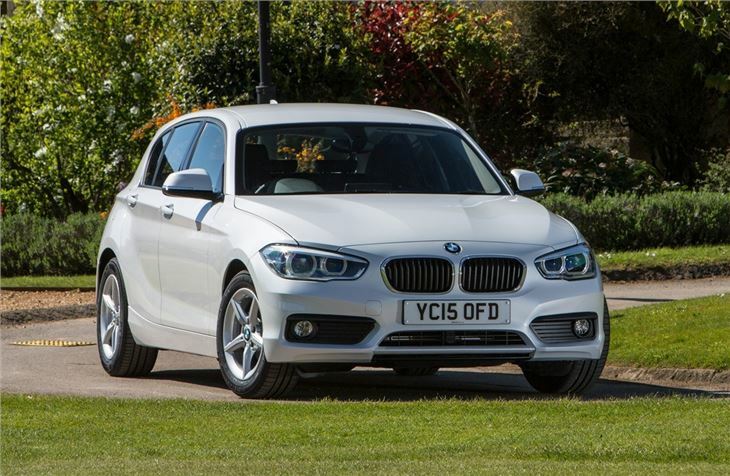 Overall, the BMW 1 Series does have some areas that need improvement, namely the standard equipment list and its middling practicality, yet it offers an undeniably appealing blend of precise handling lustre and executive-schmooze. 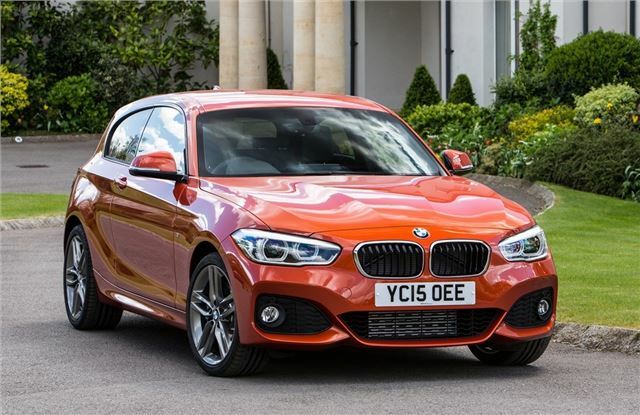 And while the transaction price can rise to frankly shocking heights when you start analysing the options list, at least competitive company car costs and competitive monthly finance plans go a long way to keeping the 1 Series in relatively affordable territory for many buyers. Great Car but is mixed value for money.